I used to think my situation was unique. Throughout my life I was the odd ball, a misfit, the last one chosen to play dodgeball, the uncoordinated nerd in school who tried to be a jock. It was all intended to attract the attention of pretty girls but I failed miserably. I dated sometimes but pretty much I was socially inept. 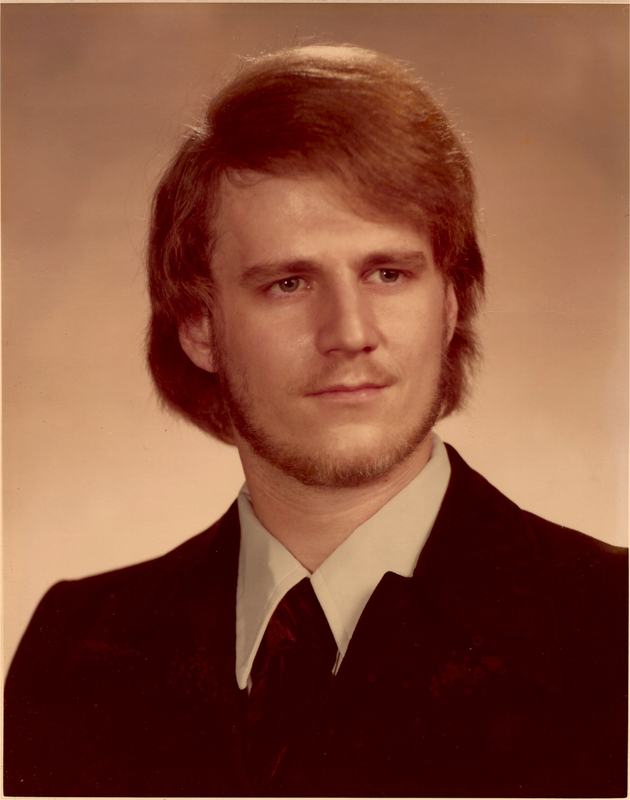 Even after going off to college and having a fresh start, things were not greatly improved, though I was forced to make a new set of friends and, while attending Purdue University, there were a whole lot of other nerds with whom I could associate. For whatever reason I didn’t study engineering or anything scientific, though I definitely had a general interest and knack with those subjects.. I did some crazy things like taking basic courses in chemistry, physics, computer science and such as electives while my major was mass communication. Also I fancied myself a rocker and loved music, had a part time job in a stereo store, played bass guitar, had long hair and worked another part time job at a radio station as a DJ. Imagine that!. I was deathly afraid of public speaking, so what was I doing taking classes that required me to give speeches in class let alone working as a DJ? For that matter, what I was doing learning how to write a specific way – the way a journalist writes? Anyone who remembers me from college (or high school) recalls that I wrote a lot of stuff. I started working on my first novel when I was 13. Some of that material survived in one form or another until I composed what was intended to be my debut novel, a book called Tarot. It was a high fantasy thing based on the characters of the major arcana of fortune telling cards. Like a lot of people in the 70’s, I had a passing fascination with the occult. And like the majority of them, it is something I eventually outgrew. The Tarot manuscript still exists. somewhere in my stored stuff there is a book typed, double-spaced. Some of the concepts and characters eventually made their ways into One Over X and The Wolfcat Chronicles. So the book never died. I have kept it around all these years to remind me how awful my writing used to be back when I had no doubt I was destined to be a best selling author. The trouble was, my writing and how it affected my storytelling. When reality set in, I started working on improving that. 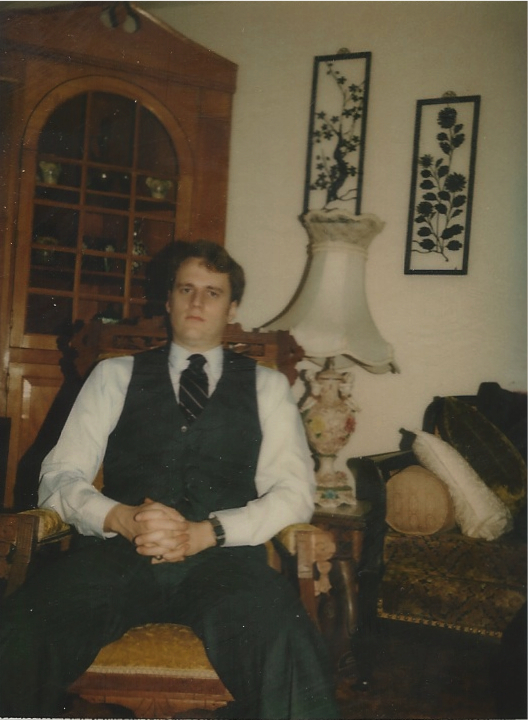 At some point in the early ’80’s I took a hiatus from writing. Maybe I believed I needed to live a bit to be able to write about things people could relate to. It’s a nice thought even if it is mostly BS. 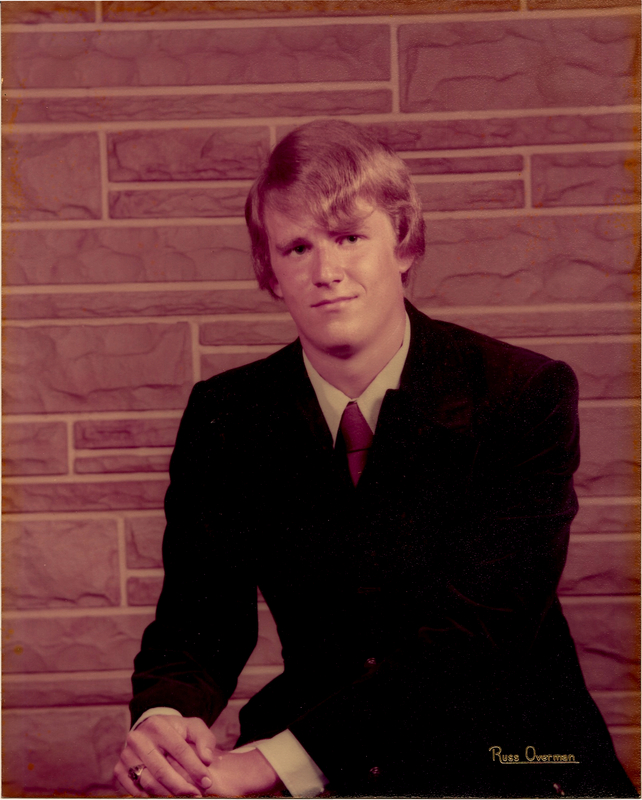 I switched to studying business administration, relocated to Texas and received a degree from UT Austin. 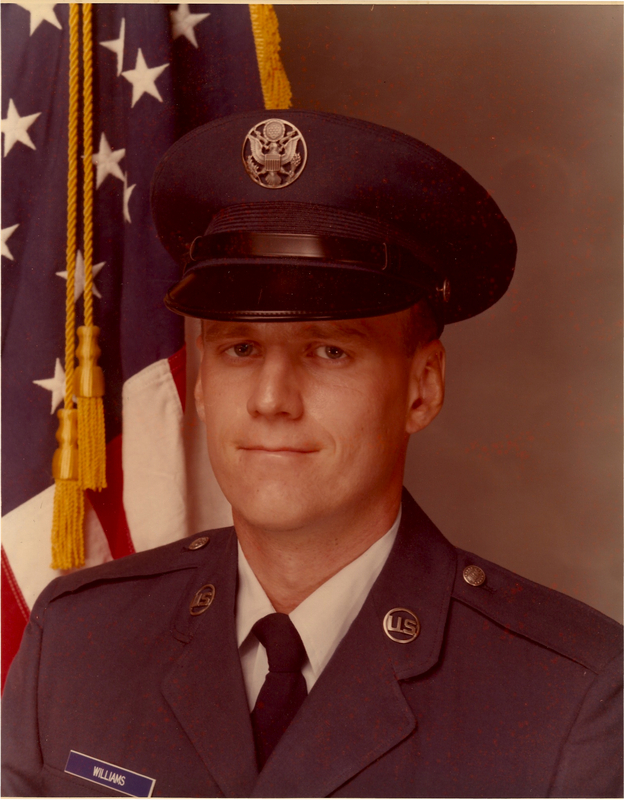 Afterwards, I worked in advertising and sales for a while, also stocked grocery shelves before having one of those wild hair moments and joining the Air Force. They taught me Chinese and sent me overseas where I ended up being a unit historian (because someone found out I could write better than the average person). Technically, the unit history I put together, printed and distributed while in the service was my first actual book. It won an outstanding rating, though, due to his Top Secret contents, only a select few ever read it. I really never completely gave up on writing or my stories. I don’t think a writer can really do that unless he or she really isn’t intended to be a writer. Writing isn’t a vocation or something you just choose to do. Somewhere there is a gene that is twisted sideways. That’s what causes some people to write. I kept working at the crafting of words , writing drafts and feinted story starts. Eventually I bought a computer and the moment I went digital my creativity began to surge. In the late ’90’s I had a draft novel, an early version of From The Inside and it’s companion piece To The Closer. 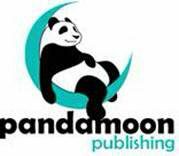 I showed them to a small publisher and he helped me get them into print. Around that time my personal life was falling apart. My now ex-wife and I stayed together but we were’t acting much like a married couple except for the arguing over money. Our kids had no illusions that we were going to survive as a couple. When the three of them were all grown and out on their own, my ex and I divorced. I went through some serious issues that adversely affected my health. Truth be told those issues started when I was much younger and just fallowed me around, coming ot a head in early 2012. One day I decided to make a go at writing professionally. If you really, truly intend to be a writer you have to do that at some point. You got to walk the high wire without a safety net. Otherwise writing will forever be a hobby and you will never be as successful at it as you could be. It hasn’t been easy. It’s getting better but I’m doing other things on the side in order to survive. My expenses are minimal. I don’t drive. I don’t have a car. I live close enough to where I work that i ride a bike. I eat a lot less and what I eat is healthy. Riding the bike and the manual aspects of the work I do on the side is getting me back into shape. Foremost, I don’t drink anymore. I’ve lost nearly sixty pounds in the past year or so. I guess I don’t notice it that much, except that I can wear smaller sized clothes. The other day someone at work who is reading my latest book, Fried Windows, commented that I no longer look like the author’s picture on the back cover. Other than having shaved my mustache, I am considerably thinner. She told me I look younger too. Maybe so. I’m pretty certain of two things, though. If I hadn’t decided to write full-time I wouldn’t be alive. In order to pursue writing I had to leave a job I hated that was at least partially responsible for my over consumption of alcohol and my serious poor eating habits. I had a self destructive life style was killing me one swallow at a time. Also I would have never written Fried Windows as it was entirely composed after I quite drinking. Even if I had written the story I am absolutely certain I would have never gotten it to the point of submitting it for publication. Hemingway said write drunk but edit sober. In fact he may have come up with some of his ideas while under the influence but as I understand it he wrote in the early morning before he got totally lit. 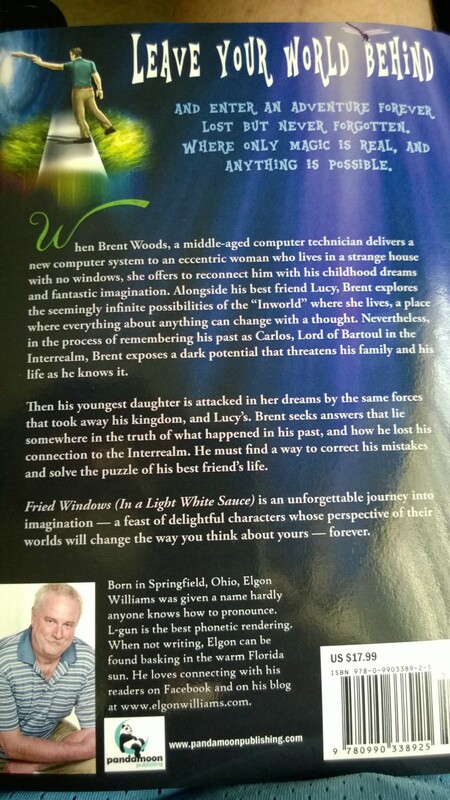 Fried Windows was written revised and edited while I was completely sober. It’s funny that I’ve been asked what kind of drugs I was on to have come up with such a bizarre story. My answer: that’s the way my mind works.